HP ProLiant Blade servers ( BL) are Compact and powerful servers, designed for the performance, management, density, and total cost of ownership (TCO) savings requirements of tomorrow’s data centers delivered today. HP ProLiant Blade servers support the latest AMD Opteron and Intel Xeon processors, and a wide variety of I/O options, the innovative Virtual Connect technology, numerous network interconnect alternatives, Integrated Lights Out, multiple redundant features, embedded RAID controllers, and much more. 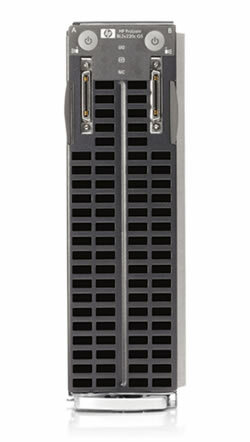 HP has a ProLiant server blade that will meet your needs whether a small business or the largest enterprise firm.